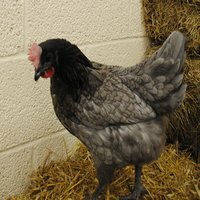 The Blue Bell is a very attractive hybrid chicken that would stand out from the crown. It’s a larger breed that often has quite long legs. Some can have a fairly dark collar whereas some may have a grey collar, they also come in different shades of dark grey/blue. 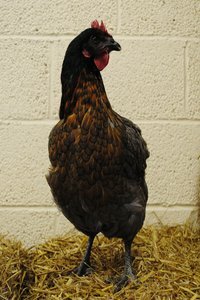 They are said to be a cross between a Rhode Island Red and Maran. 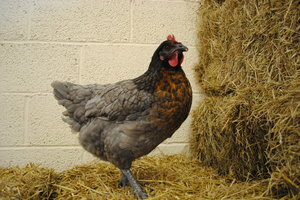 A Blue Bell is an ideal hen for a first time chicken owner. They can be very placid and a great addition for any family. They are a layer of brown eggs and can lay up to approximately 260 a year. So why not pop along to our store today and see how beautiful they really are.